At the SIGGRAPH Autodesk User Group we spoke a lot about our character technology and switch to Maya. 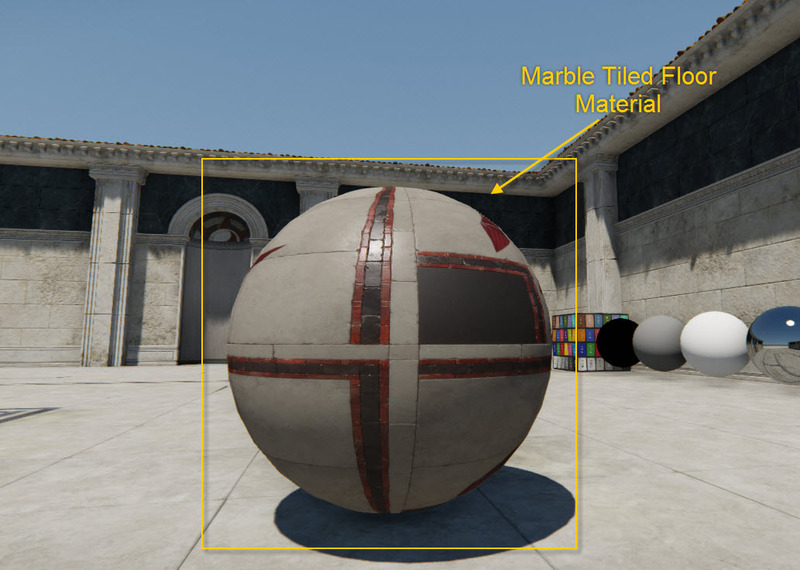 One area that we haven’t spoken so much about is next-gen updates to our shading and material pipeline, however Nicolas and I have an interview out in Making Games where we talk about that in detail publicly for the first time, so I can mention it here. One of the reasons we have really focused on character technology is that it touches so many departments and is a very difficult issue to crack, at Crytek we have a strong history of lighting and rendering. A physically based shading model reacts much more like real world light simulation, one of the biggest differences is that the amount of reflected light can never be more than the incoming amount that hit the surface, older lighting models tended to have overly bright and overly broad specular highlights. With the Lambert/Blinn-Phong model it was possible to have many situations where a material emitted more light than it received. An interesting caveat of physically-based shading is that the user no longer has control over the specular response (more under ‘Difficult Transition’ below). 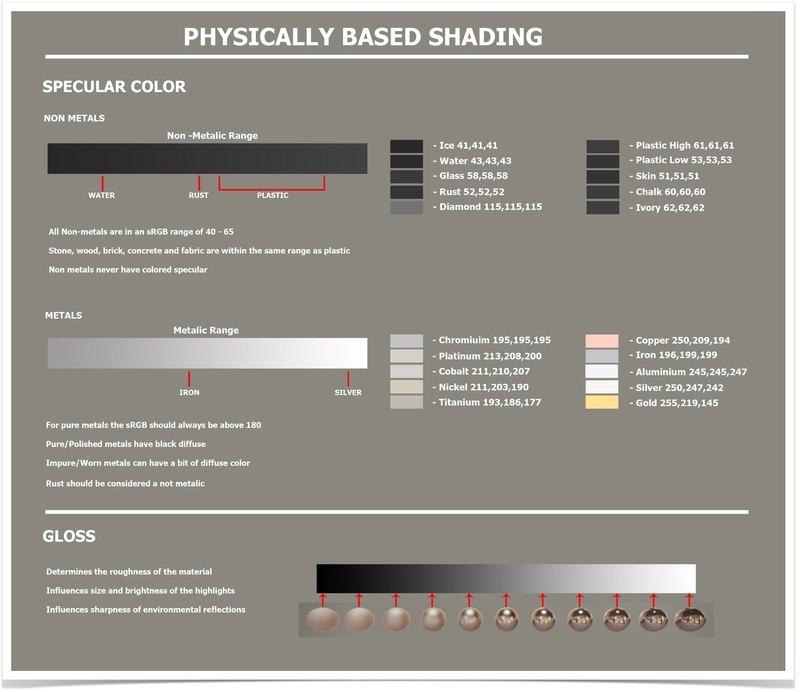 Because the way light behaves is much more realistic and natural, materials authored for this shading model work equally well in all lighting environments. It’s important to understand that everything is a hack, whether it’s V-Ray or a game engine, we are just talking about different levels of hackery. Game engines often take the cake for approximations and hacks, one of my guys once said ‘Some people just remove spec maps from their pipeline and all the sudden they’re ‘physically-based”. It’s not just the way our renderers simulate light that is an approximation, but it’s important to remember that we feed the shading model with physically plausible data as well, when you make an asset, you are making a material that is trying to mimic certain physical characteristics. Once physics get involved, you can cheat much less, and in film we cheeeeeaaat. Big time. Ben Snow, the VFX Supe who ushered in the change to a physically-based pipeline at ILM was quoted in VFXPro as saying: “The move to the new [pipeline] did spark somewhat of a holy war at ILM.” I mentioned before that the artist loses control of the specular response, in general, artists don’t like losing control, or adopting new ways of doing things. Aside from the more natural lighting and rendering, in an environment where the player determines the camera, and often the lighting, it’s important that materials work under all possible lighting scenarios. As the product Manager of Cinebox, I was constantly having our renderer compared to Mental Ray, PRMAN and others, the team added BRDF support and paved the way for physically-based rendering which we hope to ship in 2013 with Ryse. At Crytek, we have always added great rendering features, but never really took a hard focus on consistency in shading and lighting. Like ILM in my example above, we often tweaked materials for the lighting environment they were to be placed in. Before we start talking about the different maps and material properties, you should know that in a physically-based pipeline you will have two slightly different workflows, one for metals, and one for non-metals. This is more about creating materials that have physically plausible values. Your diffuse map should be a texture with no lighting information at all. 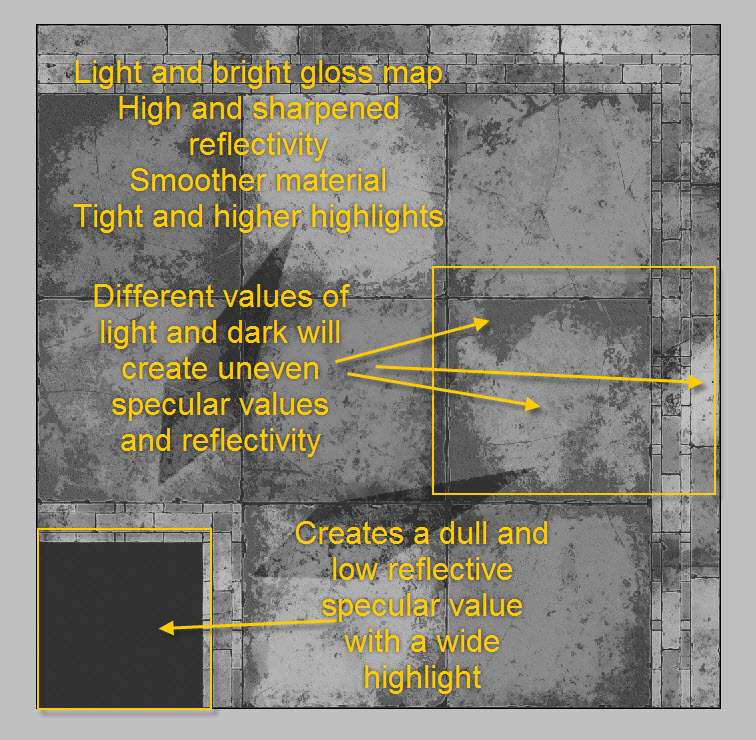 Think a light with a value of ‘100’ shining directly onto a polygon with your texture. There should be no shadow or AO information in your diffuse map. As stated above, a metal should have a completely black diffuse color. Geek Stuff: Diffuse can also be reffered to as ‘albedo‘, the albedo is the measure of diffuse reflectivity. This term is primarily used to scare artists. If a non-metal material is not in the list, use a value between 45 and 65. Geek Stuff: SPECULAR IS EVERYWHERE: In 2010, John Hable did a great post showing the specular characteristics of a cotton t-shirt and other materials that you wouldn’t usually consider having specular. Here you can see the maps that generate this worn, oxidized lion sculpture. See above how there are no variations in the specular color map? 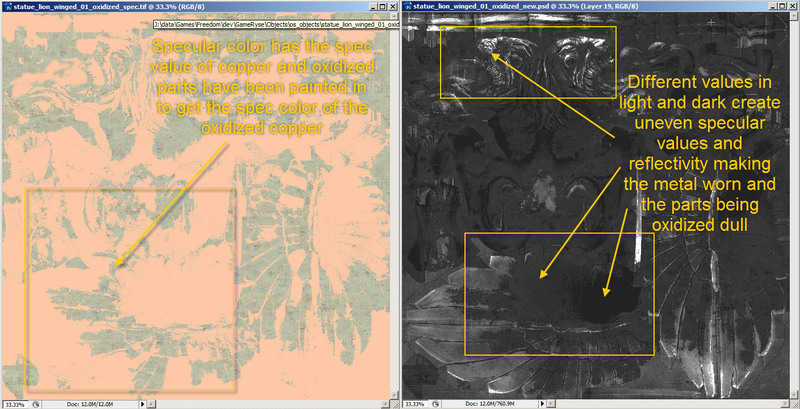 See how the copper items on the left have a black diffuse texture? Notice there is no variation in the solid colors of the specular color maps. Geek Stuff: We author in sRGB because it gives us more precision in darker colors, and reduces banding artifacts. The eye has 4.5 million cones that can perceive color, but 90 million rods that perceive luminance changes. Humans are much more perceptive to contrast changes than color changes! New technologies that require paradigm shifts in how people work or how they think about reaching an end artistic result can be difficult to integrate into a pipeline. At Crytek I am the Lead/Director in charge of the team that is making that initial shift to physically-based lighting, I also lead the reference trip, and managed the hardware requests to get key artists on calibrated wide gamut display devices. I am just saying this to put the next items in some kind of context. It’s very important that your team be able to test their assets in multiple lighting conditions. The easiest route is to make a test level where you can cycle lighting conditions from many different game levels, or sampled lighting from multiple points in the game. The default light in this level should be broad daylight IMO, as it’s the hardest to get right. I created one of the first example assets for the physically based pipeline. It was a glass inlay table that I had at home, which had wooden, concrete (grout), metal, and multi-colored glass inlay. This asset served as a reference asset for the art team. Try to find an asset that can properly show the guys how to use gloss maps, IMO understanding how roughness effects your asset’s surface characteristics is maybe the biggest challenge when moving to a physically-based pipeline. As with rolling out any new feature, you should train a few technically-inclined artists to help their peers along. It’s also good to have the artists give feedback to the graphics team as they begin really cutting their teeth on the system. 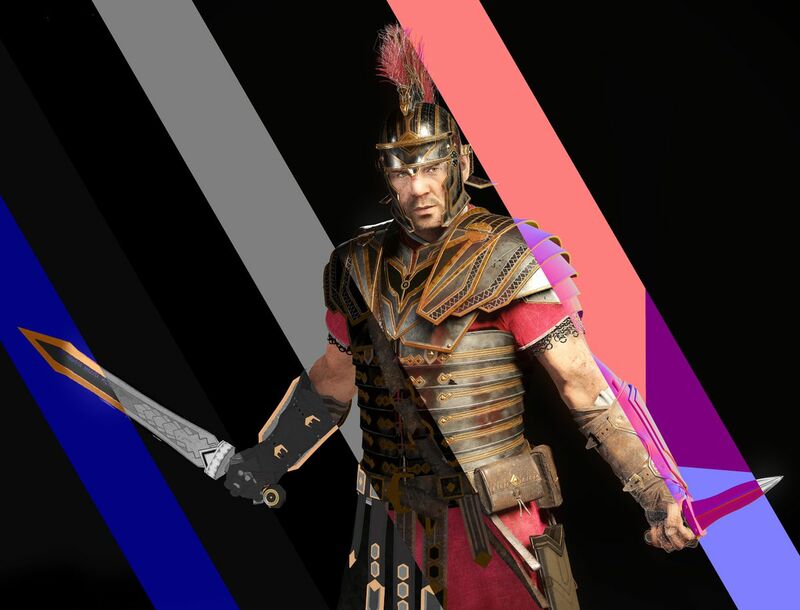 On Ryse, we are doing the above, but also dedicating a single technical artist to helping with environment art-related technology and profiling. It’s very important to have a ‘cheat sheet’, this is a sheet we created on the Ryse team to allow an artist to use the color picker to sample common ‘plausible’ values. We have created a debug view that highlights assets whose specular color was not in a physically-plausible range. We are very in favor of making tools to help people be responsible, and validate/highlight work that is not. We also allowed people to set solid specular values in the shader to limit memory consumption on simple assets. Above are two things that I actually carry with me everywhere I go. The X-Rite ColorChecker Passport, and the Pantone Huey Pro monitor calibration toolset. Both are very small, and can be carried in a laptop bag. I will go into reference data acquisition in another post. On Ryse we significantly upgraded our reference acquisition pipeline and scanned a lot of objects/surfaces in the field. Nicolas Shulz has presented many improvements made based on production use at GDC 2014. His slides are here. He details things like the importance of specular filtering on to preserve highlights as objects recede into the distance, and why we decided to couple normals and roughness.